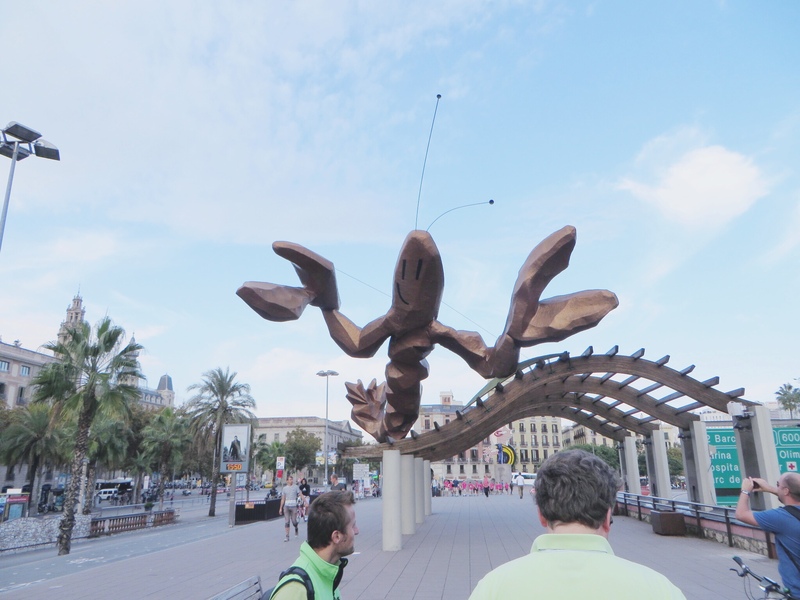 In el Passaig de Colom (Paseo de Colon) in Barcelona lives a happy Gamba (shrimp). 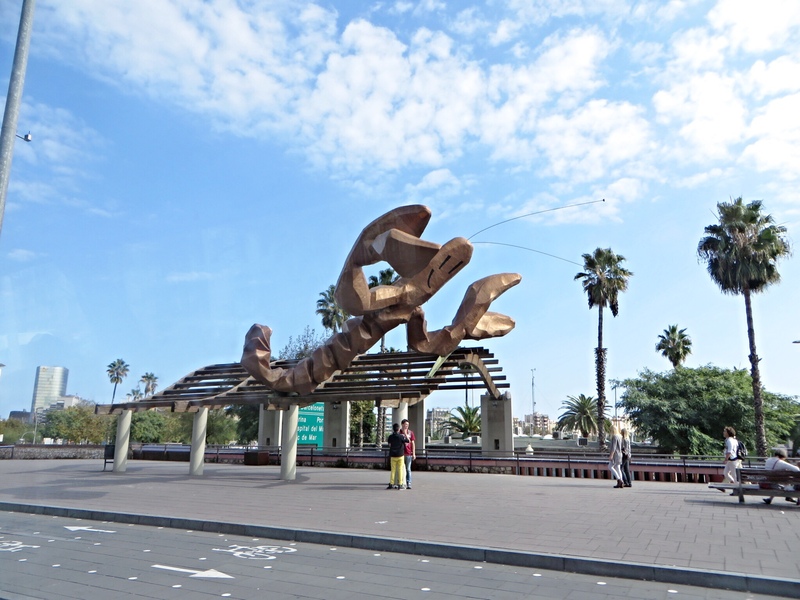 It was design by Javier Mariscal and it was originally created for a restaurant that eventually close and the happy Gamba (how I called) stayed as a popular symbol on that area. 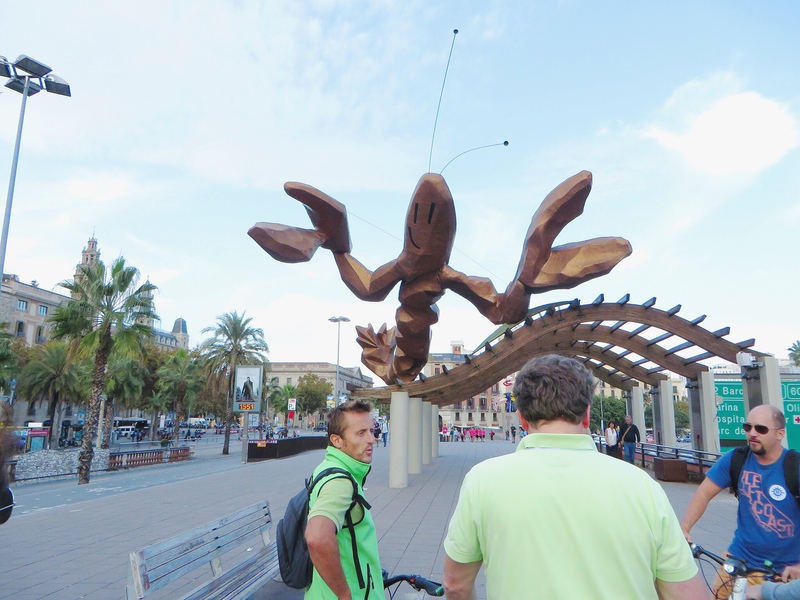 We encounter the happy Gamba on our bicycle tour through Barcelona (which I will be writing about soon!). Our tour guide! With the back pack.